If you or someone close to you has recently been diagnosed with Parkinson’s disease (PD), you are likely experiencing many emotions and have many concerns and questions. Remember that you are not alone. As many as one million people in the US and an estimated seven to 10 million worldwide live with Parkinson’s disease. These estimates do not account for cases of PD that are unreported, undiagnosed or misdiagnosed. With a diagnosis now in hand and the freedom to learn at your own pace, you can begin to understand PD and its treatments and the role they will play in your life. Your diagnosis can be the first step to taking charge of your life with Parkinson’s disease. 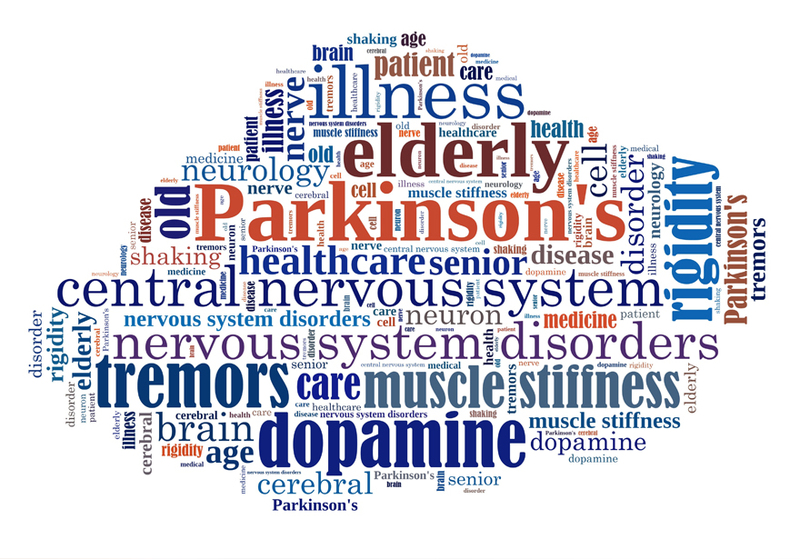 There are many pervasive myths and misconceptions about Parkinson’s disease (PD) and its treatment. Below are some tips to help you distinguish between fact and fiction so that you can optimize both your care and quality of life. PD only affects movement. Most people – including some physicians – believe that PD only causes movement-related (motor) symptoms such as tremor, stiffness and slowness. Many symptoms of PD are unrelated to movement. Nonmotor (“invisible symptoms”) of PD are common, and may affect everyday life more than the more obvious movement difficulties. These symptoms may include impaired sense of smell, sleep disorders, cognitive symptoms, constipation, bladder symptoms, sweating, sexual dysfunction, fatigue, pain (particularly in a limb), tingling, lightheadedness, anxiety and depression. Good news: many nonmotor symptoms of PD are highly treatable. For this reason, you should write down your invisible symptoms, discuss them with your doctors, and seek treatment. If someone with Parkinson’s looks good, then they also feel good. People will often assume that if someone with PD looks good at one point in time, then they will feel well all of the time. PD symptoms fluctuate, and not all of them are visible. Over time, people with PD notice an increasing tendency for their medications to wear off between doses. For this reason, the way that they appear at one moment may not reflect the way that they feel most of the time. Even when someone with Parkinson’s looks good, they may not feel well because of nonmotor symptoms. Keeping a symptom diary can help. If your symptoms fluctuate during the day, then you should keep track of your pattern of “on” times (when your medications work effectively) and “off” times (when medications wear off). This will enable your doctor to optimize your medications, and help you feel more in control of your PD. You can blame PD for everything. It is easy for you – and for your doctors – to blame PD every time that you are not feeling well. Certain symptoms should never be attributed to PD. Fever, for example, is not a symptom of PD, and usually indicates an infection. Headache, vision loss, vertigo, loss of sensation, loss of muscle strength and chest pain are not symptoms of PD. Your doctors should rule out other causes for your symptoms. Sudden-onset symptoms – such as chest pain, shortness of breath, weakness, difficulty with speech, or vertigo – warrant immediate medical attention to rule out an emergency. PD has spontaneous “exacerbations.” Another common assumption is that PD can “flare up” unexpectedly. But PD does not work this way. Although symptoms may fluctuate throughout the day, the progression of PD is very slow. If PD symptoms worsen over days or weeks, then it is critical to search for an underlying cause. Medication changes, infection, dehydration, sleep deprivation, recent surgery, stress, or other medical problems can worsen PD symptoms. Urinary tract infections (even without bladder symptoms) are a particularly common cause. Certain medications can worsen PD symptoms. These include antipsychotics, valproic acid (Depakote®) lithium, and nausea medications such as prochlorperazine (Compazine®), metoclopramide (Reglan®) and promethazine (Phenergan®). Speak with your neurologist before starting one of these medications, to see if there is a better alternative. Levodopa works for decades. Levodopa does not treat all of the symptoms of PD, but it dramatically helps many of the most disabling motor symptoms. Levodopa has been shown to increase lifespan and markedly improve quality of life. You should wait as long as possible to take the next dose of levodopa. Many people feel that they should wait until their medication has completely worn off before taking the next dose. Levodopa is most effective when taken on time, just before the previous dose wears off. If you wait too long, then the next dose may never “kick in,” and the medications may not work effectively for the rest of the day. A medication timer can help. If you are experiencing wearing off of medications, then it is critical to take your doses exactly on time. Different generic brands of carbidopa/levodopa are usually different colors. The color of carbidopa/levodopa tablets is relatively consistent between brands. If the color of your tablets changes for no apparent reason, then it is important to verify that you are still receiving the correct dosage. The most commonly described dosage of carbidopa/levodopa – 25/100 mg immediate-release tablets – is always yellow in color, regardless of the brand. If you are supposed to take this dose, and your pills are not yellow, than an error has occurred. Your doctor can predict your future. Many people with PD ask their doctor to predict their prognosis. PD is highly variable from person to person. Even a PD expert has no way of knowing what the future holds for an individual with PD. You can help to change your future. You can improve your disease at every stage by ensuring that you stay fit and receive adequate sleep and proper nutrition. Exercise is particularly important for improving mobility, stamina, mood and quality of life. Here is a marvelous guide for anyone affected by Parkinson’s disease–patients, caregivers, family members, and friends. Containing the most up-to-date information on the disease, one of the most common neurological disorders, it discusses the available treatments and provides practical advice on how to manage the disease in the long term. Emphasizing life-style adjustments that will provide a better quality of life and moderate the burden for patients and their loved ones, the book answers many questions and clarifies misunderstandings regarding the disease. Written by two experts on Parkinson’s disease and a freelance journalist, the book is approachable and easily understandable. Question and answer sections are provided, while “hot topics” are highlighted for easy visibility. 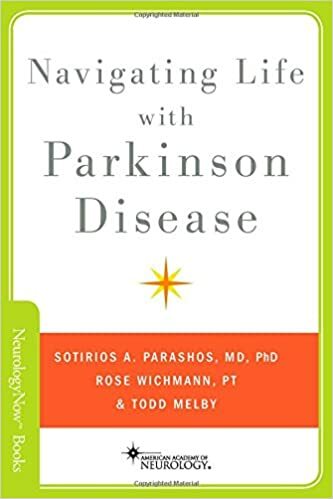 The authors have also included true patient stories that will both inspire and instruct, and they have addressed several topics often not mentioned in physician-directed disease management, such as how to talk to family and friends about one’s life with Parkinson’s.